Asolo has expanded their Alpine range by launching the Freney XT GV boot complete with “innovative” Schoeller fabric that is said to offer exceptional abrasion, tear and temperature resistance. 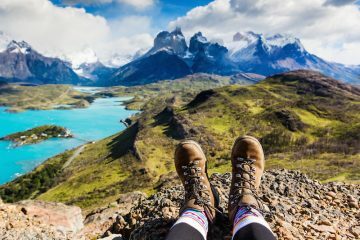 The company believes that their new mountaineering boot offers climbers and alpinists high quality performance and versatility across a wide variety of terrains while offering superb foot and ankle support with comfort and insulation. The boot is said to be waterproof, tear resistant and durable thanks to the Schoeller Keprotec upper which is a special weave of Cordura, High Tensile Polymide and Kevlar. 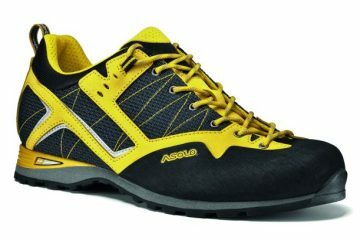 Asolo say that the inclusion of Kevlar helps to insulate the foot from extreme temperature variations due to the material’s non-conductive nature. Recommended for technical mountaineering, via ferrata and ice climbing, the Freney XT GV is compatible with crampons, has a shock absorbent PU heel and also features a dual density microporous midsole. Comfort and heel positioning is also said to be improved through the use of anatomic padding foam and a substantial lacing system that allows free movement of the ankle while ensuring good closure elsewhere. The Freney XT GV boot has a SRP of £300 and more information can be found at www.asolo.com/en.